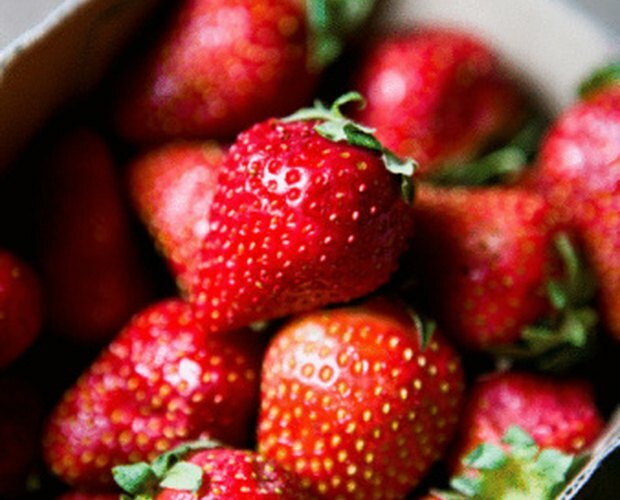 Summer is the time for picking lots of fresh, ripe strawberries. 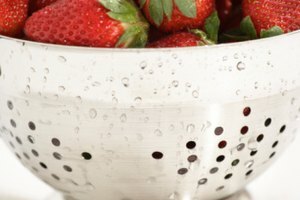 If you are making strawberry jam using strawberries grown in your garden or handpicked from your local farmers, you want to keep the jam from changing color when stored. Browning can occur over time. 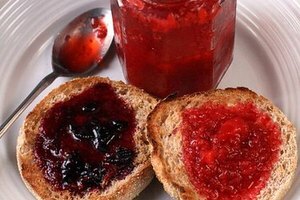 It is a natural process that does not affect the taste of the jam, just the appearance. Adding a bit of natural citric acid to the jam will keep it looking as fresh as when you first made it. Add 1/4 cup of lemon juice to 2 lbs. of fresh strawberries. Lemon juice is acidic and acts a a preservative. Lemon juice will also keep the strawberry jam from changing color over time. Add 1.5 tsp. of ascorbic acid or 3 tsp. 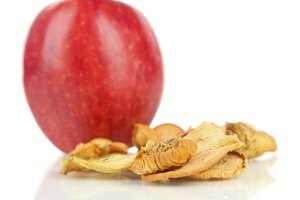 of acid blend (citric tartaric and malic acids) to 2 lbs. of strawberries. These acids will keep the strawberry jam from changing color and add a bit of tartness. They are all natural acids found in citrus fruits. Store the jars of strawberry jam out of direct light. Keep them in a pantry or a dark part of the cellar. 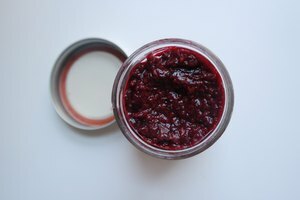 Direct light, especially sunlight, can alter the color of strawberry jam and other fruit preserves. 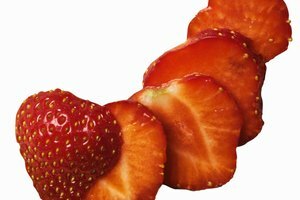 Cooking the strawberries too long can also lead to discoloration. Scorched strawberries will brown after canning. Cook the strawberry jam until thickened and no longer. To test if the jam is ready for canning, place a plate in the freezer and remove the plate when it is cold. Add a teaspoon of jam to the plate and place it back in the freezer for approximately 2 minutes. If it is still runny, cook a bit longer and test again. Can You Freeze a Glass Jar of Jelly?